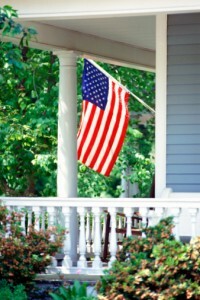 Browse > Home » Can I get an FHA or VA mortgage? Just about anyone can apply for an FHA-insured mortgage through banks and other lending institutions. They are particularly well-suited for buyers of moderate income; the low down payment requirements (as low as 3.5% of the purchase price) are matched by a relatively low maximum mortgage amount. If there is a downside to these loans, it’s the qualifying process. Though you apply for government-insured financing through a lending institution, the Federal Housing Administration or the Department of Veterans Affairs must insure or guarantee the loan and may require specific documentation or procedures not necessarily required for conventional financing. That may take more time than is generally required for conventional mortgage approval. Additionally, FHA-required insurance must be added to your payment. Make sure the lender you select has approved authority by each of these agencies to ensure a quicker loan process.